Green Chile Deviled Eggs are even better than traditional deviled eggs because they have the wonderful Southwest flavors of spicy green chile and lime. 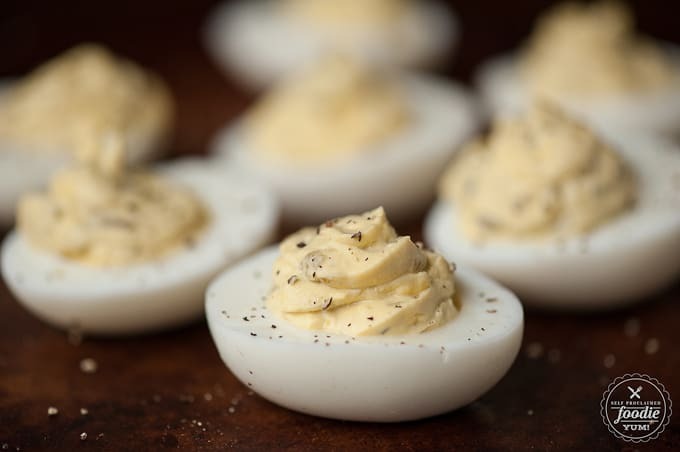 Everyone loves a good deviled egg. I was never much of a fan growing up, but I have really developed a fond appreciation for the deviled egg. Eggs, actually, are one of my favorite sources of protein. One of my favorite breakfasts is a serving of Krissy’s Winter Oatmeal alongside a hard boiled egg – it makes me feel good and gets me through the morning. But deviled eggs are far and away better than a hard boiled egg. 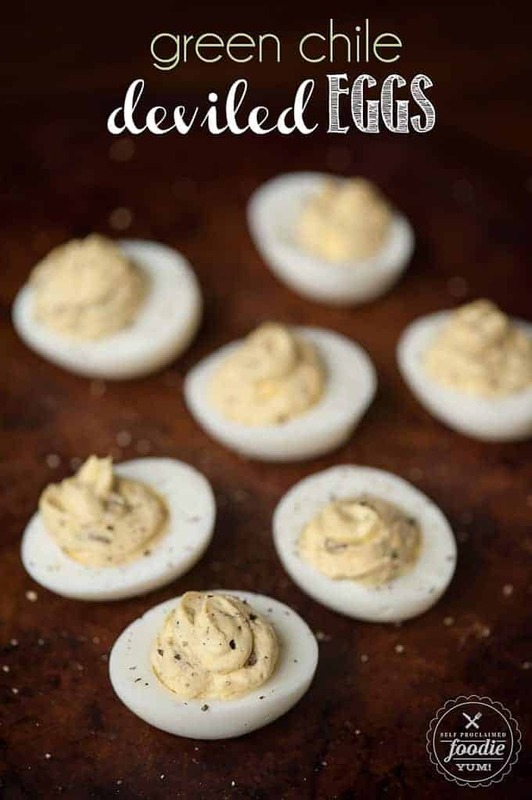 Have you ever been to a party where they set out a tray of deviled eggs? Ever notice how fast they go? Its like people turn into deviled egg freaks. My husband is one of those people. 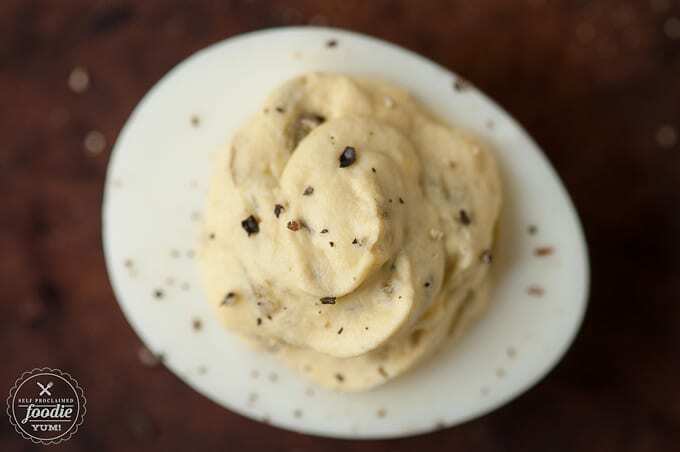 As much as I love food, I’m a texture person as well, and one of the reasons I’ve never been totally in love with the deviled egg is because its soft on soft. That, beside the fact that bacon makes everything better, is why I added bacon to my Bacon Sriracha Deviled Eggs as well as my Bacon Jalapeno Deviled Eggs. 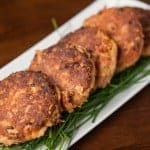 The added crunch and difference in texture adds a lot to that soft little appetizer. But, for some reason, I’m totally okay that these Green Chile Deviled Eggs are 100% smooth. I think the awesome taste makes up for it. The green chile adds enough heat to make it flavorful and the cumin and lime make your taste buds think you’re in the Southwest. 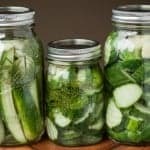 This, combined with the classic method of making a traditional deviled egg, make for one outstanding appetizer. So, for your next game day feast, or for your Easter celebration, put out a tray of these and let me know how fast they go! Green Chile Deviled Eggs are even better than traditional deviled eggs because they have the wonderful Southwest flavors of spicy green chili and lime. Carefully slice the eggs in half lengthwise and place the yolks in a separate bowl. Add mayonnaise, dijon, green chile, lime juice, cumin, and salt to yolks and mash with fork. 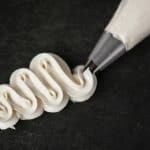 Continue to blend until very smooth. Either spoon the yolk mixture back into the egg white halves, or add it to a plastic bag and snip the corner off, then squeeze. Serve with freshly ground pepper. Thank you for mentioning Hatch Green Chile. We would love to send you a free box of our Hatch Green Chile to say thank you. If you’re interested, please send me an email. Would love a box of your Hatch Green Chile. They are without the best green chile out there not to mention your Green Salsa Verde. 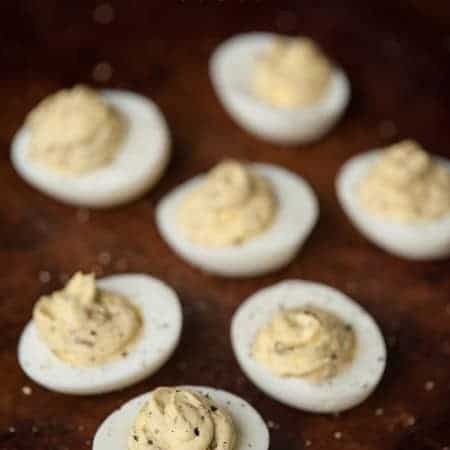 Do you know the carb content of these deviled eggs? I made them tonight and they were really good!! Hi Dian, Glad you liked them! 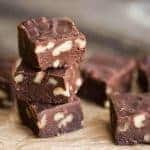 I just calculated the nutrition info and added it to the bottom of the recipe if you wanted to take a peek. Doesn’t look like it calculates carbs, but I would imagine it’s extremely low.